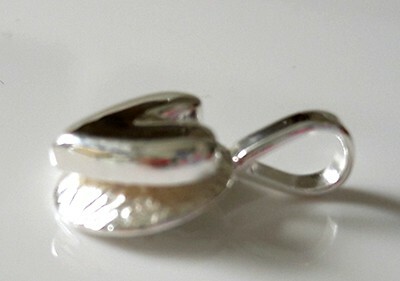 Small and quirky sterling silver pendant which measures 18mm long (inc bail) and 11mm wide. The shape makes it look as if the polished heart is beating out of the pendant from a textured round base. Despite being small it has a chunky expensive feel and look to it. 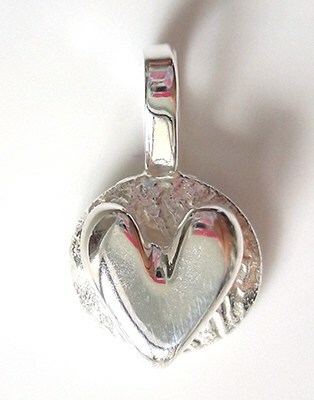 It is sold with a free 18 inch sterling silver chain.